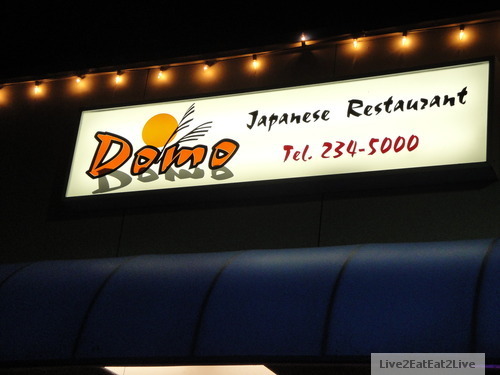 Near where we bank, there’s a little neighborhood Japanese restaurant, named Domo, that I’ve been curious about for awhile (no website). I read positive reviews about this place. An opportunity presented itself tonight for us to try the place for dinner. 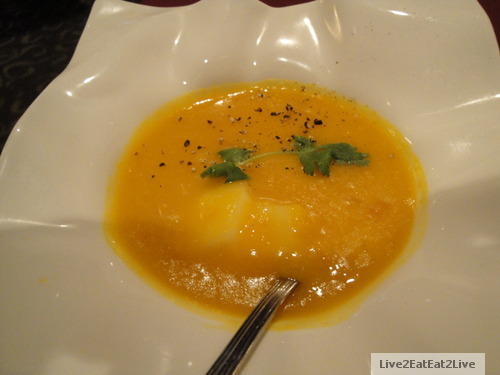 For us, it seemed that the two choice or three choice teishoku dinner was a way for us to sample the variety. 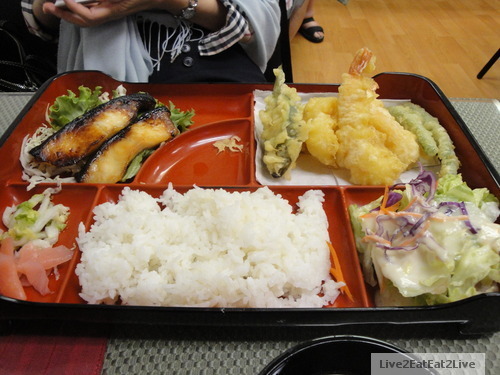 The Cat choose the misoyaki butterfish and the shrimp tempura. 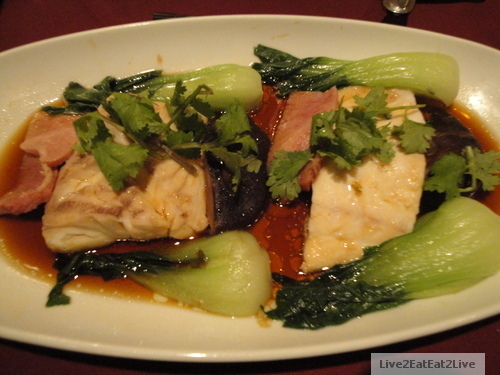 She said the misoyaki butterfish is up there along with our favorite Japanese places. One of the teishoku choices was ahi sashimi, which I was going to order, but they sold out. Sigh. 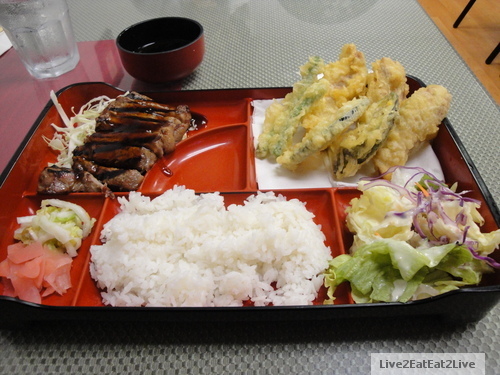 I ordered the mini rib eye steak and the ahi tempura instead. Both were very good. There was no angel chorus, but I wouldn’t mind eating here again. Next time though may ask for a little more rice. The one drawback was the restaurant seems to be a husband and wife operation. When they get busy like when we were there, there is a considerable wait between ordering and getting the food. I almost wanted to go in the back to help (clear tables, wash dishes, etc.). As one regular mentioned, there is often a wait but well worth it. A good endorsement. Stopped by Chinatown to pick-up some ingredients for new years eve (we’re celebrating with P & B. There were several different types of dried mushrooms. 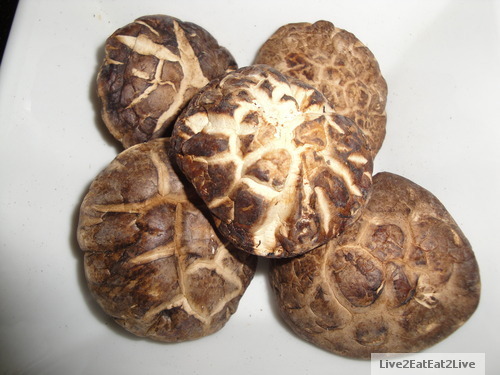 I wanted to know what the differences were (they all looked like shiitake to me). The shop owner said size doesn’t matter, thicker is better. The higher priced ones were smaller but thicker while the lower priced ones (a difference of two dollars per bag). were bigger but thinner. The higher priced ones were also gnarlier looking (translation: the lower priced package looked prettier). If the theory hold true, the big flat mushrooms must be the lowest grade. The shop owner said that the higher priced ones take longer to rehydrate. Dried mushrooms from Chinatown is still the cheapest way to go. Bought one of each to compare. Will let you know. If I don’t get to post tomorrow, best wishes for the coming year. Remember, whirled peas. At one of the breakfasts back in Shanghai, one of the items on the buffet table was “overcooked” noodles (see 21 November 2010 post). The Cat said this is a traditional Shanghai dish. 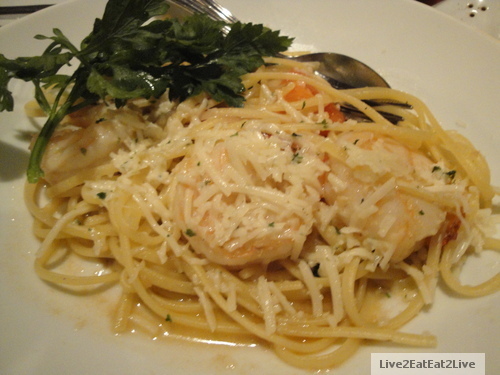 The noodles are not “al dente” but are cooked longer. The noodles absorb more of the flavor of the soup. It’s hard to make this style of noodles with look fun noodles, the look fun noodles fall apart and the noodles end up in pieces (pretty gross). The Cat said the dish is typically made with ramen type noodles. 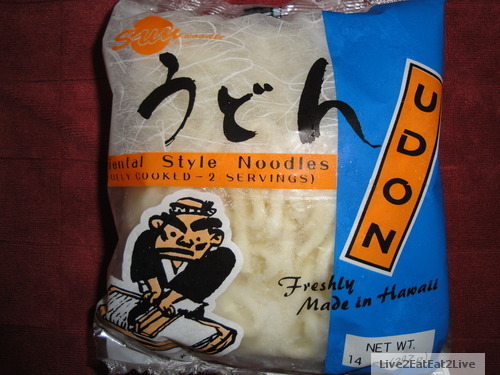 I saw udon style noodles in the supermarket the other day (made by the same company that makes the look fun noodles, Sun Noodle Brand). 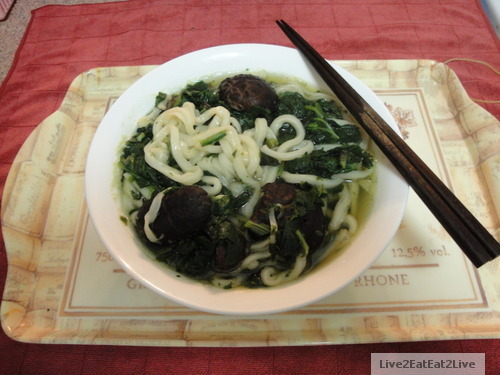 I made it simple, dried shiitake mushroom dashi, frozen spinach, salt, sugar, and udon noodles. 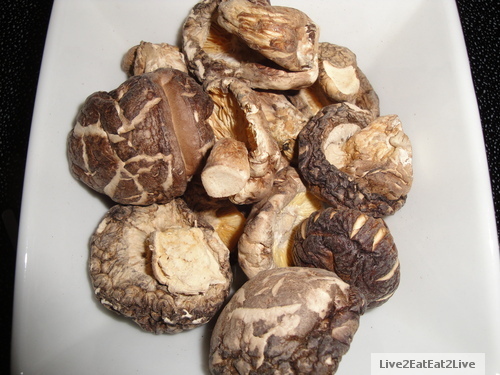 Except for the soaking of the dried mushrooms, less than ten minutes. Something nice and simple between the indulgences of Christmas and New Year’s. The Cat gave it three-and-a-half paws. Not bad. I’ve wanted to roast marrow bones for a long time. 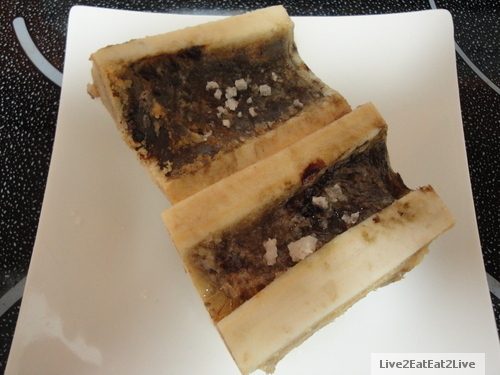 I first learned about roasted marrow bones from one of the food/travel programs. There were several obstacles, first we couldn’t find the bones in the marketplace, and second, I didn’t want to fire up the oven to roast a few bones (there’s only The Cat and The Mouse). A couple of months ago, I found shank bones at our local Korean market (they were labeled soup bones). The problem was each package was huge. I didn’t want to buy so much and it turns out we don’t like it. This past weekend, I decided to pick-up a bag, we may attend some new year’s potluck parties in which I may roast the bones. 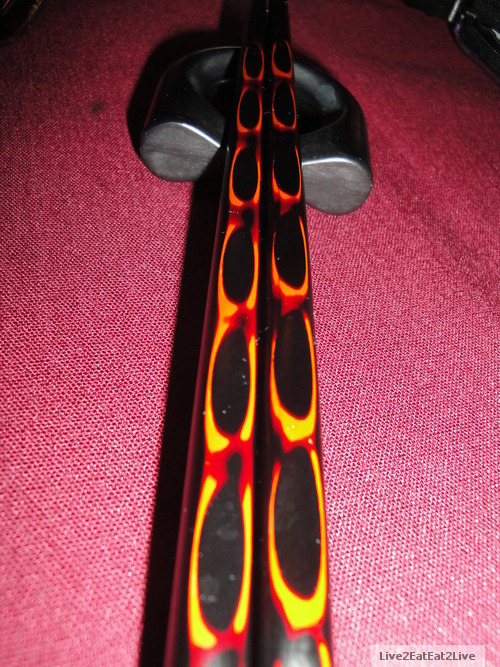 The bones that the market sells are split lengthwise. I thought this shouldn’t be a problem (I was somewhat incorrect). Before roasting the bones for the parties, I thought I should experiment first. One website suggests soaking the bones in salted water to clean, so that’s what I did. Because I was only roasting four segments, not a whole pan, I used our toaster oven. Roasting time was about 20 minutes on high. I sprinkled natural sea salt from Kaua’i (more on that in a future post) on the marrow after roasting. Because the bones were split, the marrow was slightly drier than what I saw on TV. The oil from the marrow drained out to the bottom of the pan. The good thing about the bones being split was it was easy to scoop the marrow from the bones. 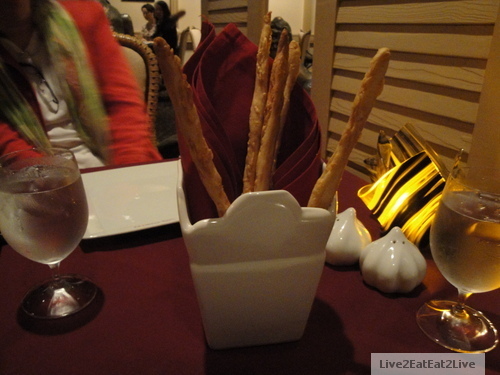 Instead of serving the marrow with bread, the conventional method, I served rice. I poured the oil from the pan onto the rice. The Cat said yum (three and a half paws). The Cat approved more experiments involving roasting marrow bones. I suppose bread could be used to sop up the oil after roasting. This was a good and easy experiment. We’ve had an on again, off again relationship with Ciao Mein for sometime. It started when the restaurant had Sunday brunch buffets. They would make large, deep pans of tiramisu for dessert. By the time we dug into it, the liquor and coffee would be fully absorbed by the sponge cake (“ladyfingers”) and meld with the Mascarpone cheese. This was the first place The Cat tried tiramisu and no where else could make tiramisu that reached the expectations of The Cat. The tiramisu at Ciao Mein may not have been traditional, but it was very good. And then for whatever reason, the brunch buffets were discontinued. Sigh. 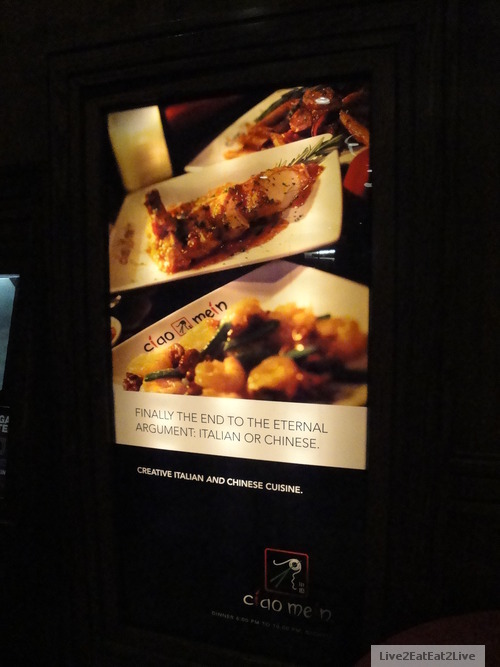 Sorry, the theme of Ciao Mein is Chinese and Italian cuisine (think two ends of the silk road). Then, the brunch buffets were offered only on special occasions and we would go whenever we could (or were aware of it). After a while, those stopped too. Double sigh. After that, the restaurant offered its “Taste of Honolulu” special. 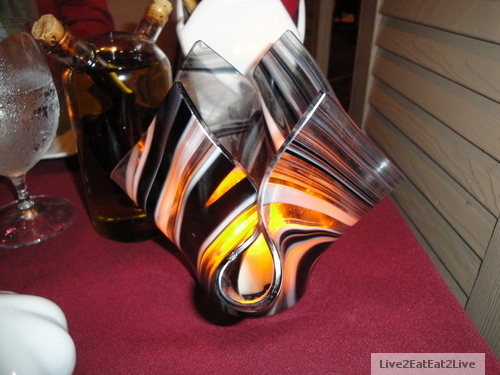 The restaurant had participated in many Taste of Honolulu events and won numerous awards. 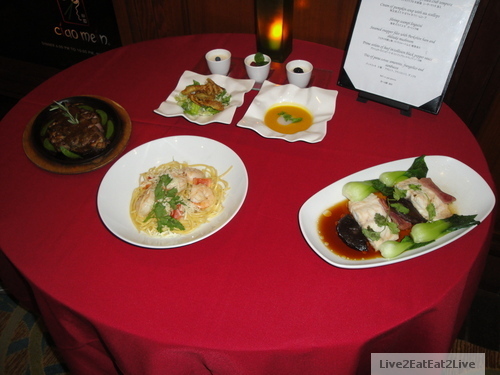 For one price, any and all of the dishes that were featured at the events were available (as small portions). There was not limit on the number of items that could be ordered or the number of times it could be ordered. This option was perfect for us. 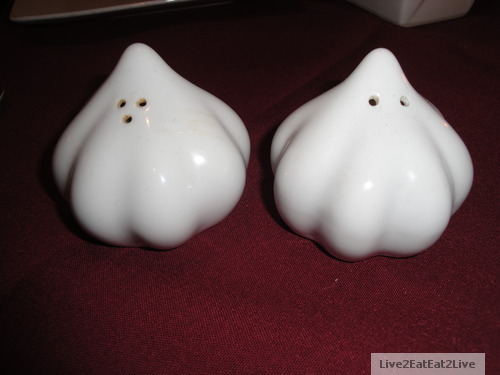 It’s hard for two people to eat at Ciao Mein. The dishes are meant to be eaten family style and we can eat enough to order more than two dishes at a time (although we want to more). Alas, that offer was also discontinued (I think the restaurant was losing money on that option). Sigh with understanding. In 2007, The Cat’s longtime friends, X & D, came to visit from Shanghai. D’s birthday happened during their visit. X suggested shabu shabu which D quickly nixed. She wanted a nice sit down dinner. We wracked our brains trying to come up with a place that would satisfy both X & D (X is a very very critical eater, especially outside of China). Our best shot was Ciao Mein. After sitting down, The Cat was trying to translate the menu to X & D without much success (the descriptions of the dishes were getting lost in translation). Our server, Guido, brought out Executive Chef Ching to assist. After Chef Ching talked with The Cat, X & D for a bit, it was decided that Chef Ching would prepare our dinner off the menu. The Cat and I looked at each other and wondered if we had to wash dishes for decades to come. Anyway, to make an already long story short, the dinner was a success! With the appetizer dish (which I won’t go into now, hoping for a future opportunity to fully describe it with pictures), X’s eyes lit up, he never had a dish like this before. All the other dishes exceeded his expectations. It was so good that X requested to eat there again (which is as rare as a blue moon). 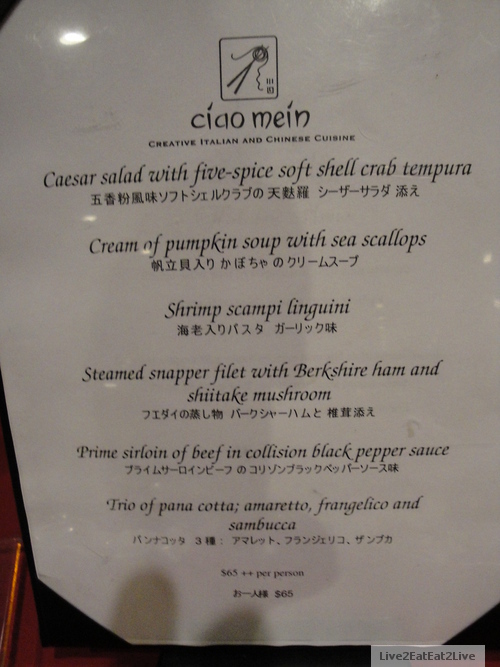 When we were looking for a place for Christmas dinner, we accidentally noticed that Ciao Mein was still open. The restaurant was offering a prix fixe Christmas dinner. The choices sounded pretty good so we made reservations. There were favorites that we wanted but ended up ordering the prix fixe dinner. The Cat’s theory is that the dishes on the prix fixe dinner are only available for Christmas, plus she had her eye on the soft shell crab tempura. Enough of the history lesson, on to the food. The soup was also very good. The Cat thought there might be some dried scallops in the soup. The snapper was perfectly steamed. The Cat wished we had some rice to pour the sauce over but we were getting full at this point. We added our favorite savory side to the mix. 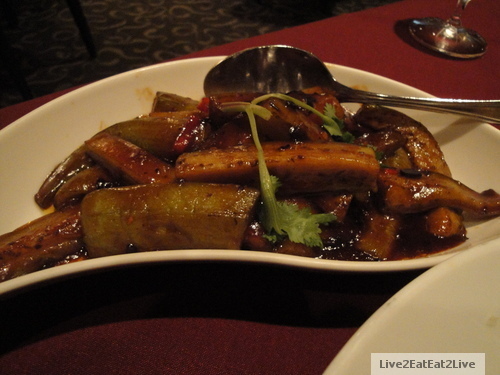 This is the best spicy eggplant dish ever. While it’s not real spicy, we feel it’s the perfect balance of heat, sour, salty, and sweet (it’s one of the dishes that won a “Taste of Honolulu” first prize award). Apparently we are not the only ones that think it’s great (see article). 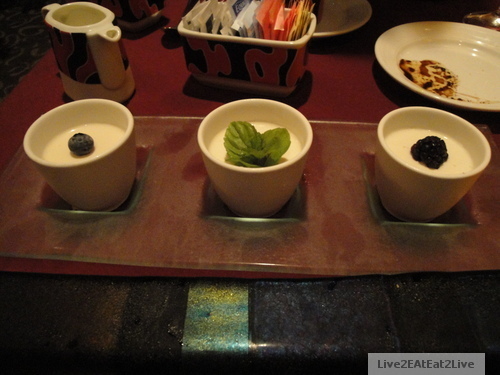 For dessert, we had the featured trio of pana cotta. 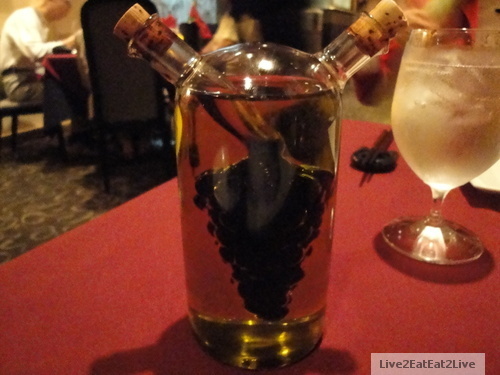 From left, amaretto, frangelico, and sambuca. 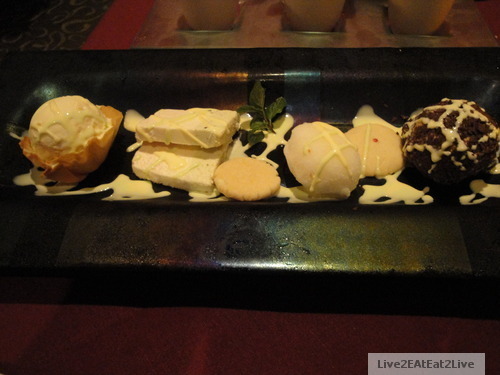 We added another favorite of ours, their Marco Polo dessert. From left, ginger gelato, spumoni gelato, lychee sorbet, and espresso gelato. 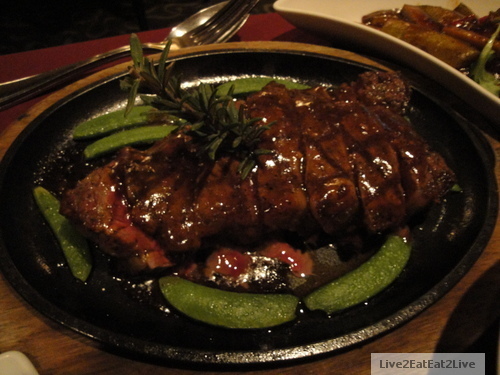 Everything was well done, and the service was excellent. 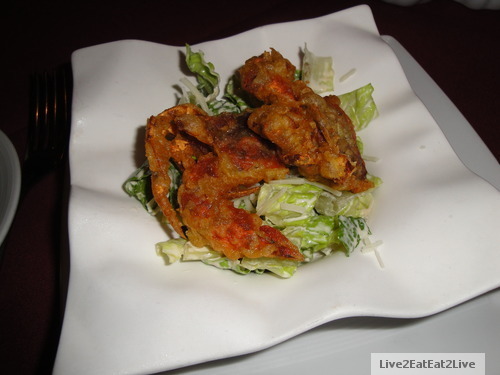 The Cat’s favorite was the soft shell crab, while mine was the steamed snapper. 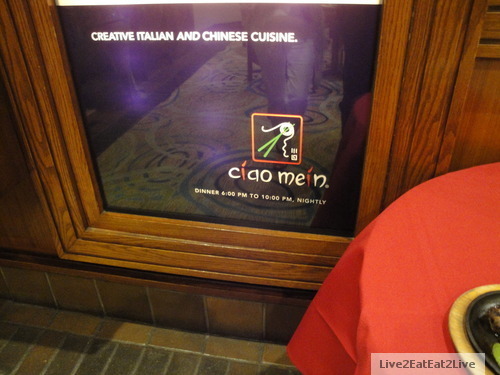 Ciao Mein is soon to be scheduled to be remade into Cafe Japengo. The new menu is supposed to include other Asian cuisines (Japanese, Vietnamese, Malaysian, etc.) as well as Chinese. I hope the Szechuan eggplant stays. The Cat wanted to document some of the table settings that characterize Ciao Mein. A ceramic Chinese take-out box. The Cat thought it looked like some psychedelic won ton skin (okay, moving on again). It was good to rediscover Ciao Mein again. Like old friend that haven’t seen each other for awhile, things change and things remain the same but the connection is still there. The Mouse (and The Cat).